In today’s industries the demand for non-ferrous metals are becoming more and more popular. Millions of tonnes of non-ferrous metals such as aluminium, copper, lead, zinc and stainless steel are recovered and recycled annually for use amongst smelters, refiners, ingot makers, foundries and other manufacturers. In particular aluminium is the most abundant metal in the earth’s crust and is one of the most recycled materials after steel and paper. The main reason for the recovering of aluminium for recycling is down to it being economically viable and has many simple uses such as packaging. The recycling of copper is becoming more and more desirable and within Europe 41% of demand for copper is met from recycling. Items containing copper such as old taps, copper plumbing pipes, scrap from copper, WEEE and electrical cables are all processed for new copper products. Further non-ferrous metals such as lead, zinc, stainless steel and brass are also recycled on a daily basis mainly because this is a cheaper option than mining, confirming that secondary materials are essential to the survival of many industries. The logic of recycling these metals is also made more attractive as the seller benefits from cash rewards, win win for everyone. 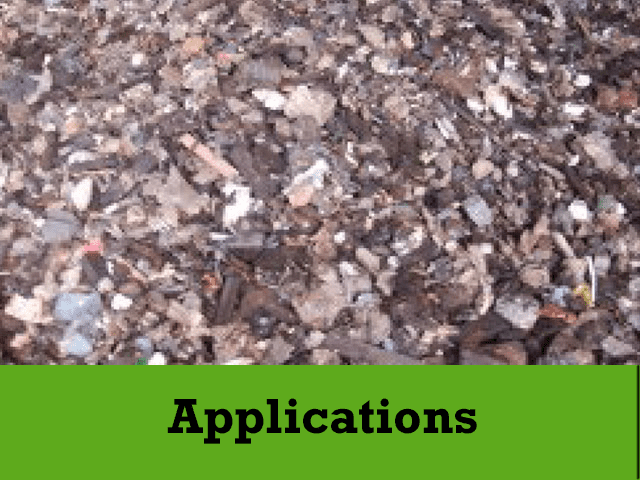 Many recycling companies face the problem of separating ferrous and non-ferrous metals from other products such as construction and demolition waste, wood recycling and automotive fragment to name a few. 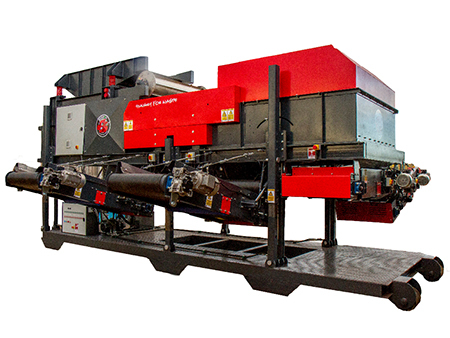 The HogMageddy current separator consists of a vibrating feeder pan which controls the level of infeed material, the strong magnetic drum enables quality separation through the removal of the ferrous metalsonto a heavy abrasion resistant belt conveyor and the non-ferrous metals and remaining inert material are separated by the eddy current section of the units. The ferrous, non-ferrous and inert material are dispatched onto 3 separate heavy duty belts reducing labour costs whilst producing three quality separated applications. 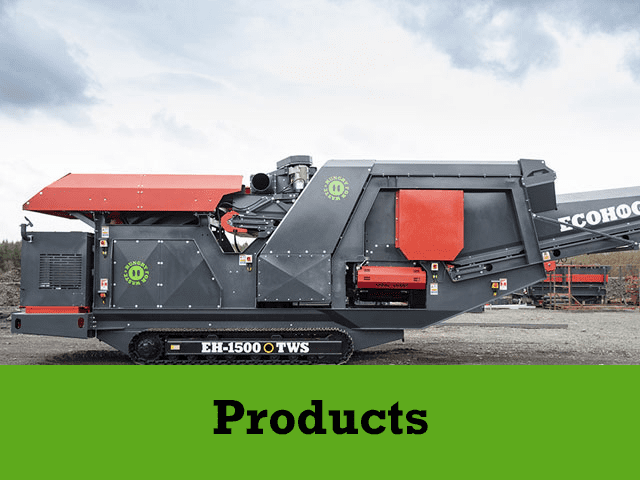 The mobile HogMag unit has been designed to create ease for transportation and added value that the unit can be incorporated into any existing layout or off site location. 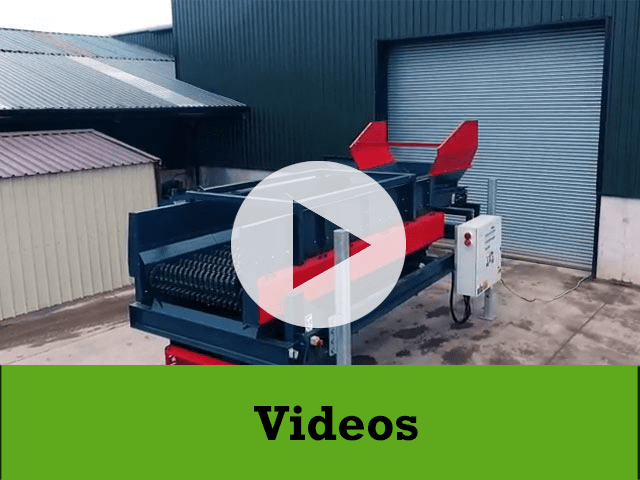 The HogMag protects other equipment in the processing cycle keeping maintenance and operational costs to an all-time low whilst increasing productivity.